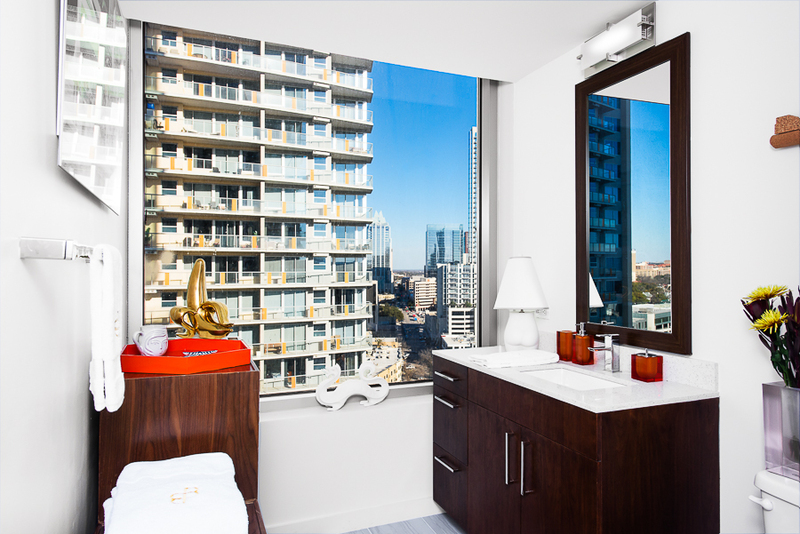 The Bowie Austin is a Luxury High-Rise located in the heart of Austin Texas. 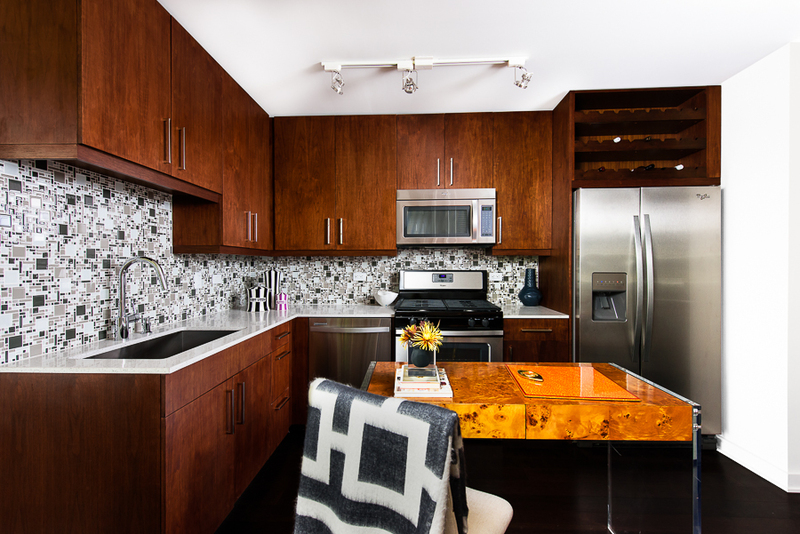 The multi-unit complex is truly the lap of luxury where all amenities are at your fingertips. 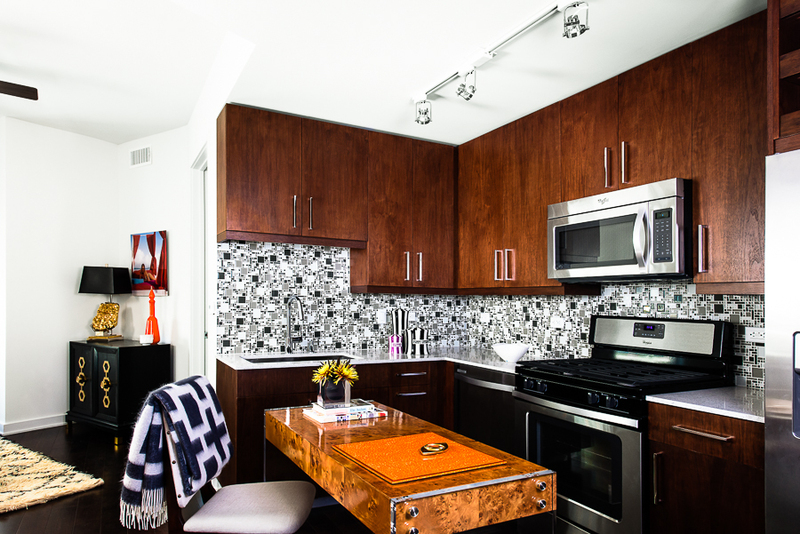 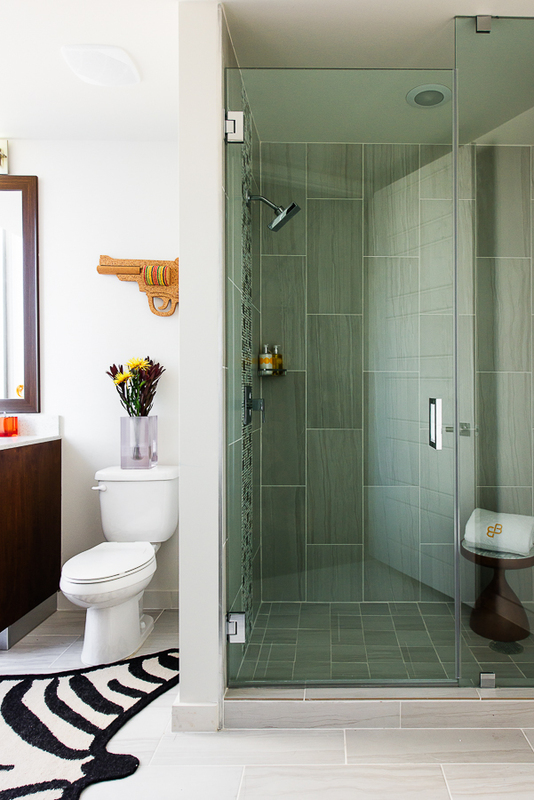 The studio apartment model was created to emphasize how smaller spaces can be cozy, sophisticated, and yes—spacious. 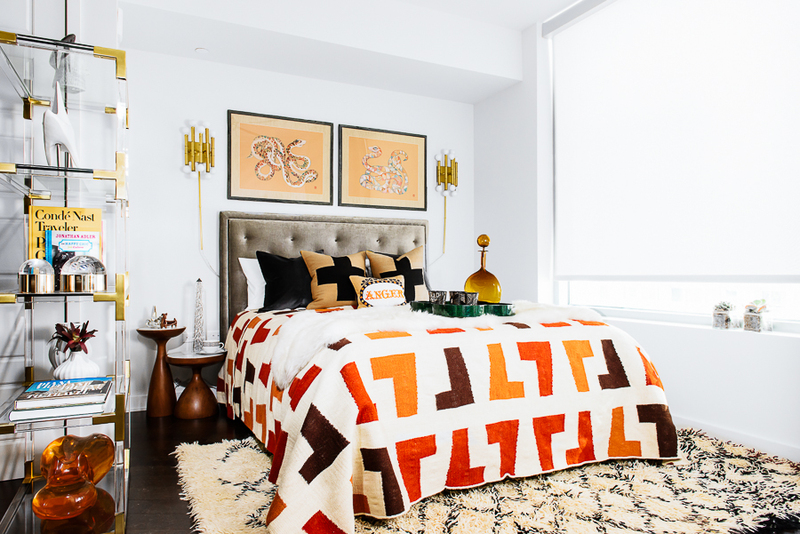 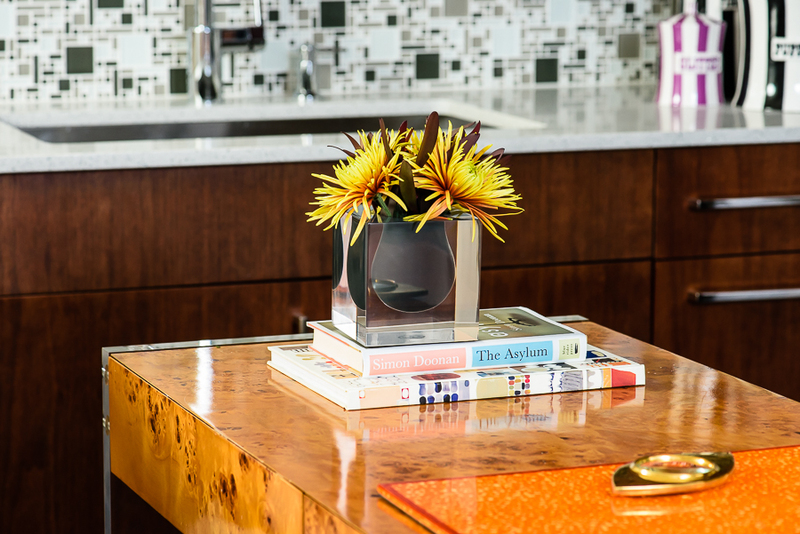 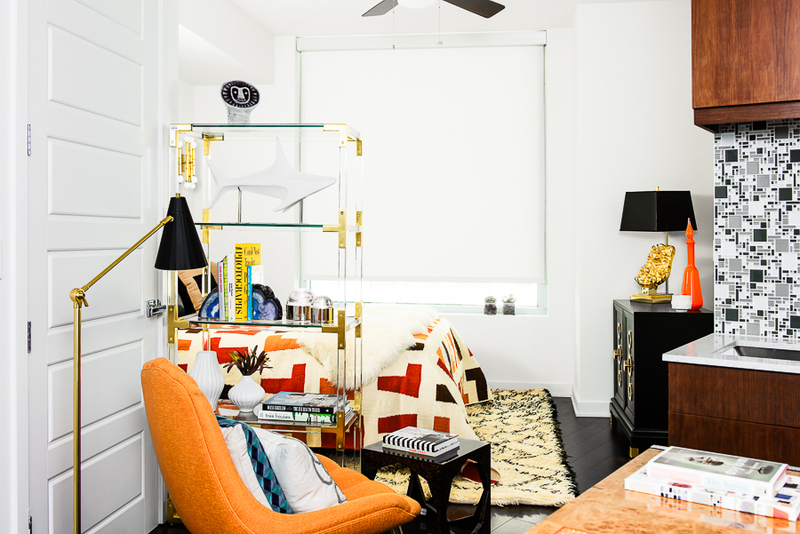 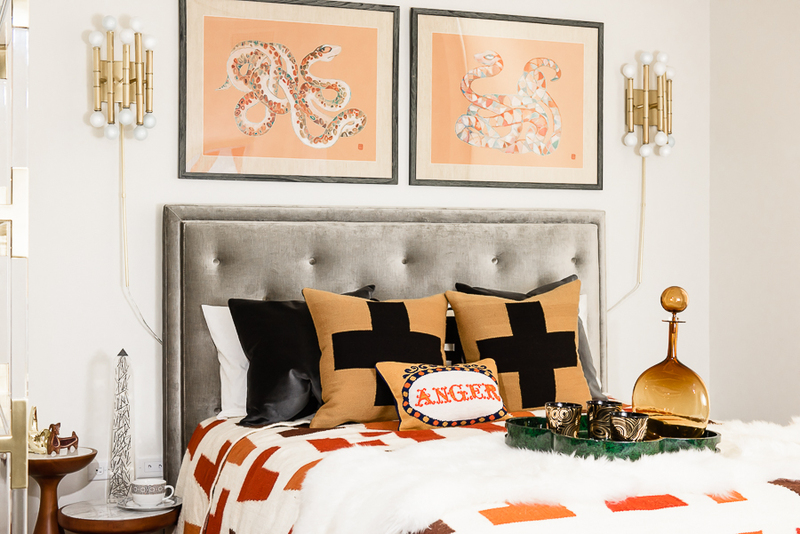 This model was outfitted with furniture, art, and accessories from Jonathan Adler of Austin.